I’m an “IoT guy,” and have been around since what we call IoT today was mostly wired and called SCADA or Factory Automation. Then came cellular, the cloud, and machine-to-machine (M2M). I consider myself a matchmaker for brilliant technologists, taking their innovations and connecting them with enterprises and operators to solve real business problems today and map out the future for tomorrow. Examples of the good work IoT can do are everywhere, such as green and efficient smart city solutions or life-changing technology for the impoverished. IoT also holds trillions of dollars in commercial opportunities. When cellular IoT, then still called M2M, finally got traction, it was because the industry as a whole started to focus on solving business problems and stopped making it about the cool stuff the technology could do. As Fred Yentz, president of IoT platforms at Telit, evangelised early on, enterprises adopt IoT solutions for one of three reasons: to save money, to make money, or to stay out of jail. By staying out of jail, Fred was referring to compliance issues such as legal and regulatory requirements and/or quality compliance such as loT logging and control tracking, says Lawrence Latham, managing director of everynet. Implicit in his statement was that enterprises do not adopt IoT technology to use X type of connectivity or Y brand of IoT platform—they actually don’t care. Enterprises adopt IoT solutions to solve business problems at the best possible economic value. The history of IoT tells us we need to look at the issue of licensed vs. unlicensed LPWA from a business perspective to gain an understanding of where the market is going. Fact 1: 70+% of all IoT connections today are unlicensed, primarily short-range technologies such as Wi-Fi, Zigbee, 6LowPAN, Bluetooth, etc. Fact 2: Price elasticity is a proven economic concept. End user cellular M2M/IoT adoption did not take off until there were devices that were cost effective, connectivity was available at competitive rates, and affordable applications existed to exploit the device data and provide REAL business value. A good example is fleet management, where today it is a near commodity business offered by mobile network operators, MVNOs, and managed service providers. The lower the cost, the higher the uptake. Fact 3: There are more things not connected than there are connected. Today there’s no clear market research out there that gives us this number (and updates it frequently). Gartner estimates that 8.4 billion connected “things” will be in use in 2017, up 31% from 2016, but that is just an estimate. Suffice it to say we’ve barely scratched the surface on potential number of devices that will be connected to the IoT, as new use cases are emerging daily.. Fact 4: No matter whose numbers you use, IoT growth is exponential. Fact 5: There will never be a one-size-fits-all solution for IoT. IoT is a market of markets, with 25+ vertical markets, with myriad use cases and new applications being dreamed of every day. I have been party to deals with millions of potential connections where the behemoth organisations involved on each side fight over pennies like they were the last seat on a life boat. Pennies matter. What happens when those numbers become hundreds of millions or even billions? 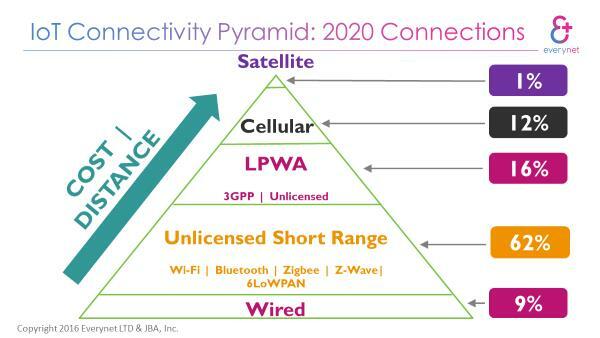 The chart below from James Brehm & Associates details the average revenue per unit (ARPU) for cellular, LPWA Licensed (estimated) and LPWA Unlicensed solutions. There’s clearly a big difference in ARPU between the three. If we compare, the licensed LPWA solution stack contains spectrum and SIM solution costs that unlicensed does not. It’s hard to make that up on volume. IoT scale also means the rise of micro transactions. $0.001 matters when you are dealing with billions of micro-transactions. Every little cost matters. LPWA—licensed or unlicensed—will have to survive in the land of micro-transactions. My next blog in this series will continue the discussion around making the business case for IoT connectivity, and discuss the key factors in selecting an LPWA solution based on the application at hand. 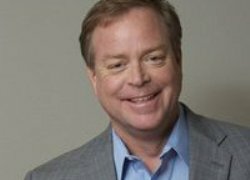 Lawrence Latham is the managing director of everynet, an IoT enabler providing innovative LPWA solutions that help enterprises around the world—and the IoT ecosystem as a whole—solve their biggest IoT challenges.